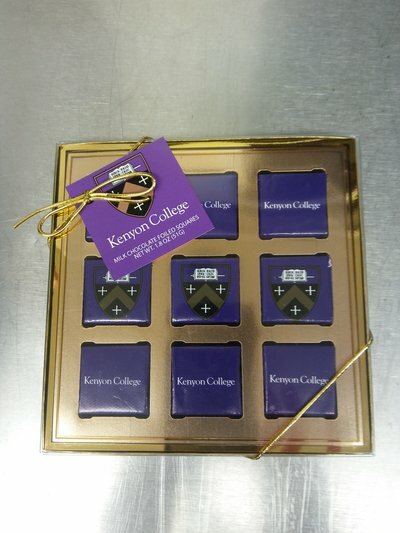 Our classic Kenyon milk chocolates have been updated with a new look! 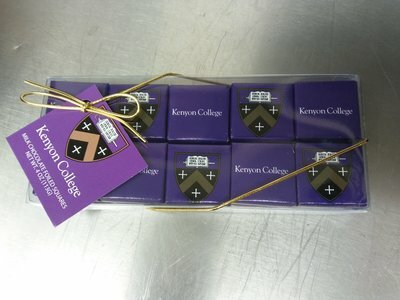 Our classic Kenyon milk chocolates have been updated with new packaging! 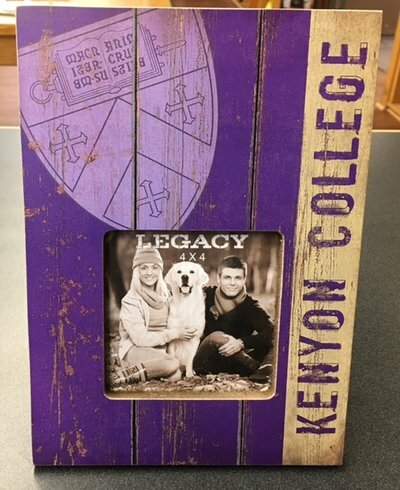 This Kenyon College alumni license plate frame will look great on your vehicle! 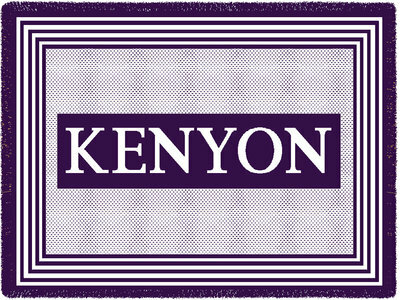 This Kenyon College license plate frame will look great on your vehicle! This vented Nike Gymsack is ready for the gym, beach or wherever you take it! 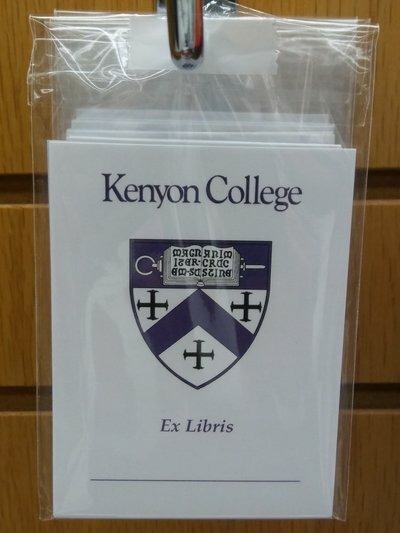 Show your Kenyon spirit with these great notecards! 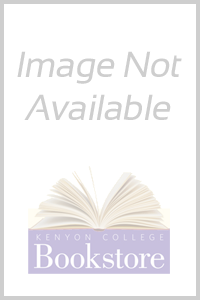 Small - 4" x 9"
CDI Color Shock Decal - Kenyon Shield (3.5"X4.5") Adheres to any smooth glass, metal, or plastic surface. 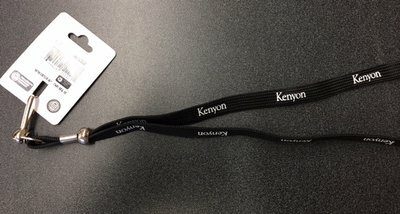 Removable with no residual effect. Weather and fade resistant. 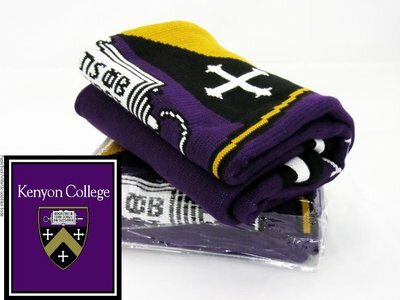 50" x 70" inch purple/off white tapestry throw. Heirloom quality construction of luxurious cotton. Woven on a European jacquard loom. In total there is over eight miles of cotton woven in each custom throw blanket. 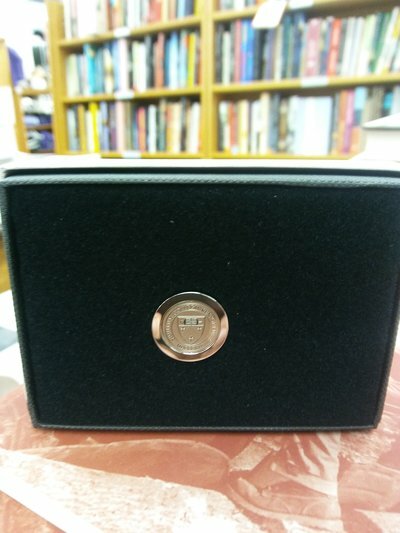 KENYON WOODEN FRAME 6 1/2" X 9" PHOTO AREA 4" X 4"
Carolina Sewn Bag & Leather Co.
Silver tone plated, 2-1/2" long, 1-3/8" diameter. 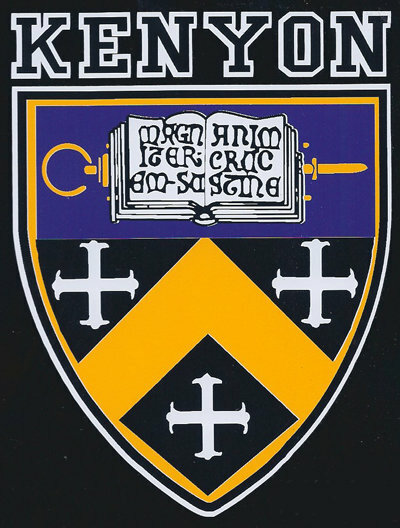 Engraved with the Kenyon seal. 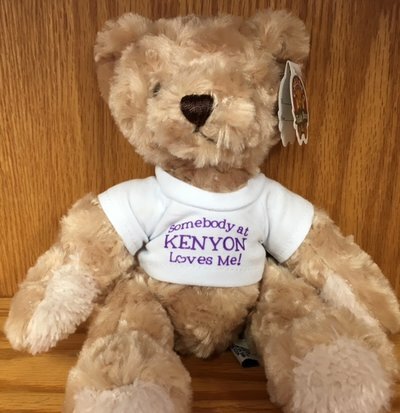 This blanket is a must have Kenyon keepsake! Featuring a high quality patchwork pattern on one side and solid heather grey on the other, this soft blanket is great for curling up with a book and relaxing.